Fees associated with Australian PCT national phase entry as well as other patent fees are available in the fee calculator. The time limit for entering the Australian national phase of a PCT application is 31 months from the priority date. The restoration of this term is possible if the failure to meet the deadline was due to error, omission or circumstances beyond the control of the person concerned. There is no fixed term for the PCT national phase entry deadline restoration, but restoration must be sought without delay as soon as the failure to file the application in time has been detected. The official language of the Australian patent application is English. In case the PCT application is filed in another language, the certified English translation must be provided within the term of 31 months from the date of priority. 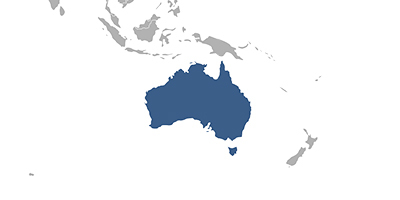 To obtain a patent in Australia, a PCT national phase entry application must contain at least the international application or publication number. An applicant, an inventor and other information will be obtained from WIPO if the application has been published. A certified copy of the Priority Document should be provided on request of the Australian Patent Office or a third party. A verified translation of the priority document is only required if it is necessary to determine the validity of the application. Currently, the Australian legislation does not require filing a Power of Attorney when entering Australian PCT national phase. Patent applications in Australia undergo formal and substantive examinations. The substantive examination should be requested within five years from the international filing date or within two months from issuance of an invitation to request examination, whichever comes earlier. It is possible to request accelerated examination under PPH. Official fees for granting should be paid within 3 months from the date when Notice of Allowance was received. Standard patent duration in Australia is 20 years from the international filing date. Annual fees are due each year starting from the 5th one and should be paid before the expiry of the 4th anniversary of the international filing date. Late payment is possible within a six-month grace period by paying a corresponding surcharge for each lapsed month or part thereof. Utility model protection is not available under the Australian legislation. There is an innovation patent system instead of Utility Model in Australia. Innovation patents are subject to formal examination only, however, substantive examination of an innovation patent will only occur if requested by the patentee, a third party or if the Commissioner of Patents decides to examine the patent. Human beings, the biological processes for their generation, mental processes and naturally occurring nucleic acid sequences are not protectable. An innovation patent must contain a maximum of 5 claims (all of which can be independent). They are typically granted within a month of filing the complete application and are valid up to a term of 8 years.